The Federal Government has called on Pretoria to stop the xenophobic attacks on Nigerians and bring the perpetrators to justice. This was as the government summoned the South African High Commissioner to Nigeria, Ambassador Lulu Mnguni, for explanation over the latest attacks on Nigerians in Pretoria and other communities. The Ministry of Foreign Affairs in a statement last night observed that incidents of xenophobic attacks had continued unabated in South Africa since 2015. It noted that Nigerians were among the groups that had been mainly targeted for attack and their property looted by South Africans. The statement read, “The Nigerian Government strongly urges the South African Government to take the strongest measures to protect the lives and property of foreigners living in South Africa and also to quickly bring to justice the perpetrators of these heinous crimes. “The ministry utterly deplores these acts of mindless violence and unwarranted attacks against other nationals in South Africa simply on the basis of their nationality or status. “International law and the age-old written law of hospitality amongst nations and societies recognise the sanctity of the lives and property of foreigners everywhere. The ministry urged Nigerians in South Africa to remain calm and law-abiding but vigilant. It said it had intensified contacts with the South African authorities to address the unacceptable situation. “The Federal Government of Nigeria unequivocally insists on, and will strenuously work towards the protection of Nigerians anywhere, including in South Africa,” the ministry assured. The Federal Government had earlier on Monday asked the African Union to intervene in the renewed xenophobic attacks on Nigerians and other Africans in South Africa. The Senior Special Assistant to the President on Foreign Affairs and Diaspora, Mrs. Abike Dabiri-Erewa, made the call in a statement made available to journalists in Abuja. Dabiri-Erewa said there was credible information at her disposal that more attacks against foreigners would take place on Wednesday and Thursday this week. She also called on the South African Government to take decisive and definitive measures to protect Nigerians and other Africans in South Africa. The presidential aide described the attacks as unnecessary setback and advised Nigerians to be extra-cautious. Although she urged restraint on the part of Nigerians, Dabiri-Erewa warned that further attacks without any reprimand might have dire consequences. Meanwhile, the House of Representatives Committee on Diaspora Affairs on Monday condemned the killings of Nigerians in South Africa. The Chairman of the committee, Mrs. Rita Orji, deplored what she called “conspiracy of silence” by the Federal Government. She complained that while the Nigerian government did everything within its powers to protect South Africa business entities in Nigeria, the South African authorities did not return the favour to Nigerians. Meanwhile, the Nigerian community in South Africa said, on Monday, that some of its members were receiving calls threatening more attacks against their homes and business premises. 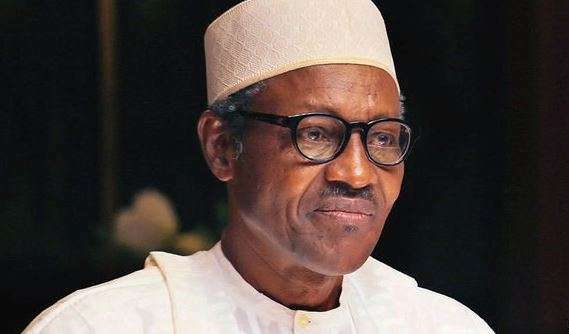 The President, Nigeria Union, South Africa, Mr. Ikechukwu Anyene, told the News Agency of Nigeria on the telephone from Pretoria, South Africa, that some Nigerians received calls asking for payment to protect their homes and business premises. Anyene stated, “Some Nigerians and other foreign nationals in Pretoria West now live in fear. Some have started packing their belongings for fear of more attacks. “They confirmed to the union that some South Africans were calling and threatening to unleash mayhem on them. The callers asked for money to be spared the attacks.